Tesla in itself is a rather young company, especially within the car manufacturing business. There are also still some people that haven’t heard of it, but those numbers are shrinking. From the start, the Roadster, I’ve been watching Tesla from a distance. Every once in a while, I was looking at what they were doing, but that didn’t turn out to be much. The Roadster was a proof of concept for Tesla to convince the people an electric car didn’t have to be dull and boring and slow and … It could be a fun little sports car with great performance! Years were passing by and in 2012 I decided to jump into the deep and become an independent consultant. That of course created new opportunities to choose my company car. But of course, you don’t just start a business and go for a €100.000 company car. In 2014, a few years of working very hard later, Elon Musk presented the P85D: four-wheel drive, nice design, practical enough to seat 3 kids in the back and carry a lot of luggage and a performance to give most supercars a run for their money. A sports car for me and a practical family car for the misses in 1 single package. What more could you ask for? However, there were some hurdles that needed to be taken before I would actually buy such a car. For me, it would be my daily driver, but I also wanted to take it on a vacation or to several aikido seminars in the neighbouring countries. Up until then we used our Ford S-Max to go on vacation: a very practical car in view of cargo capacity, nice drive and room in the back for 3 kids to sit comfortably. But I’m not a fan of the SUV and people carrier, so it felt more like an obligation to take that car for the long-distance driving than an actual joy. With a cargo capacity of almost 900L and the fact that the kids were growing up and we needed to take less baby equipment, the practicality box could be ticked. But what about charging and travelling long distances? Would we have to book additional nights and travel additional days to get to our destination? Would we be parked and bored for a very long time while we were waiting for the car to be charged? Would we only be able to drive short distances? Lots of practical questions that were running through my mind. At that time, I looked at the tesla website and their superchargers and saw that there weren’t really many of them around. The counter in Europe was set to 68 in October of 2014. But still, the promise of expansion was there and I had to wait for about 6 months for my car to be delivered anyway. So, I took the plunge and ordered a Model S P85D. I mean, if it didn’t work out, we’d still have the other car to take on vacation, right? At the point where my car was finally delivered, 135 superchargers were opened, doubling the number in 6 months. That was more like it, even though we really had to figure out the routes to take on longer trips. It was a small mind set adjustment to make: you don’t just take any route you like, because chargers are not abundant yet. But that adjustment was easily made because a few weeks later, Tesla brought out another OTA (Over The Air) update that introduced “trip planner”, an addition to the navigation that calculates which superchargers you need to use and which routes to take to comfortably reach your destination. Now, 2 years later, I look at the map again and see that Europe has 297 supercharger locations spread over most of the western part of the European continent, with several superchargers being planned or under construction. That number will probably be even higher by the time you read this. That is an average of about 10 supercharger locations being added every month! The expansion continues relentlessly! And that is certainly a good thing for people still doubting to take the Tesla on a road trip. I personally don’t even think about this anymore and just embark on any European road trip without hesitation. Charging options are everywhere where you can find current, so there is always an option to charge somewhere. 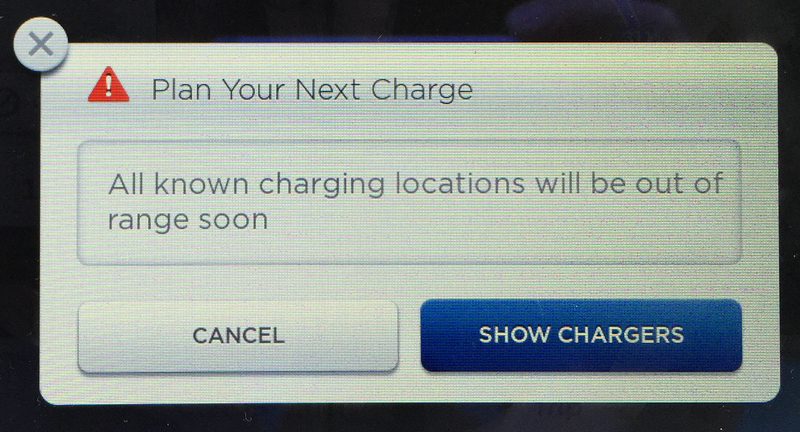 And with the continuous expansion of the supercharger network, road tripping in a Tesla only gets easier with time. Almost exactly 2 years and 75.000km later I received my brand-new Model S P100D. So, I thought it was a good time to compare both cars. Tesla has been claiming from the start they implement around 20 changes every week. These are not only improvements to the car itself, but also to the production process, the order process, delivery process, logistics, supplier management, etc. But still, I you stop and think about it, that actually means that in those 2 years they should have implemented about 2.000 improvements. There should be quite a few of them that are really noticeable, no? That is why I took some time to compare both cars side by side. And what struck me almost immediately, is the fact that there are indeed quite some differences between them. Some were easy to spot, others lie more beneath the skin and some are completely hidden from the customer. It is impossible to sum up every one of them, but let me just highlight a few important ones. A couple of this are immediately noticeable as change or improvement on the exterior of the car. In the picture above you can clearly see a big difference in the nose of the car. The facelift is a big visual improvement for some and others still like the old, original nosecone more. Also, the back of the car has undergone some changes. Gone is the protruding chromed diffuser. It remains contained to the underside of the car and the rear has a shiny black part instead. Personally, I think both versions have something going for them, but would have loved to see the old back end with the new nose. The new nose has actually a better aerodynamic drag coefficient of 0,21 versus 0,24 for the old one. And it also gives the car a sportier look, which I like and which is one of the reasons I opted to go for an upgrade of my car. The interior of the car is kind of clean, empty, simplistic. The big screen in the middle controls virtually anything in the car. This is a big difference with most other cars, it allows Tesla to push a software update to optimise screens or add and remove buttons and functionality. In my 2 years of driving a Tesla I’ve seen buttons appear (e.g. creep mode), disappear (e.g. checkbox for auto screen brightness) or being moved to a different tab (e.g. the new “doors & locks” tab). But I’ll come back to the software aspect a bit later in this blog. One of the things I noticed almost immediately, is the fact that panel gaps are more consistent and smaller overall. In the picture below, on the left side, you can see how the alcantara on the A pillar in the P85D has actually a gap of a centimetre where it meets the headliner. In the P100D on the right side, that is like a perfect fit. And because of the fact that I’ve been installing dashcams in over 25 Teslas in the past 6 months, I’ve seen many interiors in cars of different ages and can say this is a consistent improvement and not just a lucky one-of. In the meantime, the new car is noticeably quieter inside in the same circumstances. Sound proofing has improved a lot and I can enjoy the silence even more. So, I’m looking forward to my very first long-distance road trip in this car in the next few weeks to really experience the improvements over longer periods of driving. It may sound weird, but one of my concerns in the P85D was the fear of closing the doors to hard. At least, it felt that way. The doors are light because they’re made of aluminium, but they also felt kind of brittle. The sound of closing the door always made me think “oh, that seemed like I threw it shut instead of closing it normally”. I didn’t actually have any problems with it, but the sound was not really comforting, as you would expect from a luxury car. The new car has doors that close and make the sound we’ve come to expect from luxury car brands. They have a more solid, sturdy impression. It may sound stupid, but to me this is a very big improvement. You’re paying a lot of money for a Tesla, so I expect it to feel and sound as good or better than the competing bands’ cars. Let’s not forget that tesla is only mass producing cars for about 5 years (still ramping up production), whereas other brands have been around for over 50 years and have had a lot more time to get these things right. But it must also be said that Tesla has been catching up with them in a very short time and with an incredible pace that none of those other car manufacturers have been able to demonstrate in their entire history. They’ll get to the same level of fit and finish sooner than most of us think. Recently, Elon Musk stated on twitter that tesla will continue to innovate at a rapid rate and the cars will see major improvements and changes every 18-24 months. And if you can’t live with the fact that your car doesn’t have a certain feature that comes out 2 weeks after you bought it, then Tesla isn’t really for you. When I ordered my first Tesla I thought that a 4-year lease would be adequate. In 4 years’ time the hardware would be radically different, the battery technology would have changed and the software would be vastly different. Less than 2 years later Tesla introduces Hardware 2 (HW2): 8 cameras instead of 2, better ultrasonic sensors with a range of 9 meters instead of 5 and an equivalent of 150 MacBook Pro laptops in calculation capacity (or 40 time more than the HW1 cars), with the promise of being able to achieve full autonomy. And thus began the difficult process to convince myself to trade in my perfectly good car after 2 years, when being on a 4-year lease, for a car that would be more capable in the future, but is less capable right now. The P85D has 2 good years of service, had never let me down, was a thrill to drive and accompanied me on many European road trips. But the calling of wanting to be a pioneer again in a future of fully autonomous cars was something I couldn’t resist. So, after a couple of weeks I gave in and ordered a new car. When I got my P85D on March 30, 2015, the car had plenty performance, but not a lot of the technical gadgets we know today. Just 4 days after that, I got my very first OTA update and suddenly I had adaptive cruise control and the car adjusted itself to match the speed of the car in front of you. Or as Tesla calls it: Traffic Aware Cruise Control (TACC). A few months down the line and another update comes along. This time it increases the quickness of the car and makes it a tenth of a second faster to 100km/h, dropping that time from 3,4s to 3,2s. As if the car wasn’t fast enough yet… In between there were some updates with some bugfixes and new features on the car (like the addition of a creep setting that I mentioned before). And all of this, without having to go to a service center to get it installed! Flash forward to October 2015 and we get to see probably the most important software update to date: AutoPilot is being rolled out officially to all cars with the required hardware! The term “AutoPilot” is actually a combination of a few features, such as TACC, Summon, AutoPark and AutoSteer. Most of us mean Autosteer and TACC combined when we talk about AutoPilot in general. But the point is that my car could do none of those things when I received it and simple software updates made my car more capable after delivery. And Tesla keeps doing that to all of our cars. How cool is that! The system of these updates is so logical that it baffles me other car manufacturers haven’t been doing this for longer. Nowadays, we have WiFi and 3G/4G/LTE connectivity all around us and those manufacturers are now starting to see the light and start to promise the same OTA system on their upcoming cars. But there’s a catch too: they’re not there yet, so tesla is still miles ahead of everyone on this front and will continue to do so for quite some time in my opinion. The rate at which tesla keeps implementing these improvements is astonishing. Especially if you consider the complexity involved to analyse and react to all these different types of traffic and road situations. I, for one, am always looking out for the next update to come. Every time it’s a bit like Santa’s left a present to unwrap. And every time the little kid inside me gets all excited when I get the notification another update is ready to install. Sometimes these updates only contain bugfixes, sometimes they are limitations of the functionality because of potential safety issues. And sometimes we get additional cool features or even the so-called “Easter eggs”, which are well-known in the IT world. That makes it exciting each and every time you get that message a new update is ready. Over the years, Tesla has become a little bit a victim of its own success. Because of the increasing popularity, exponentially more cars were sold. But since tesla doesn’t use a network of dealers, like other manufacturers do, this created a shortage of service centers where you can go for service and maintenance. Gradually this started to cause problems in the sense that you could be waiting weeks to get an appointment. At a certain time, I even had to wait for almost 3 months to bring my car in for a maintenance job. Admittedly, urgent matters were of course given high priority, but the non-urgent matters could still be annoying to drive with for that long a period. I can’t speak for all service centers, but I’m just talking about the one that I frequent. But, Tesla wouldn’t be Tesla if they’d just accept this situation. An additional service center was added and there is another one planned to open soon in Belgium. On the other hand, they are also applying the principle of continuous improvement to their service centers. In the past year, they made hard work of streamlining the workplace and work orders, creating small batches of work, but lining up many of those small batches on a single car. As Lean Thinking has taught us: small batches flow faster than large batches. So, that means more work can be done on a single car and/or more cars can be handled in the same timeframe. Flow and small batches are not the only principles they apply. I’ve also seen Kanban boards and workplace organisation (5S) in action. And probable there are probably some other changes that have happened behind the scenes and are not (or less) visible to the customers. It may all sound fancy, but in the end the principles and techniques are all just common sense. All these actions combined have changed the service center’s ability to handle more work and since the beginning of 2017, I haven’t had to wait for an appointment. Twice I had a small issue and on both occasions, I could come in the next day. They actually brought the waiting list down from several weeks to the next day. Talk about improvement! Of course, I’m very curious to see how the system will hold up when thousands of Model 3 cars will hit the streets. It won’t be easy to take on such a ramp-up and additional changes will have to be made to keep the waiting list as small as possible. But even when queues start to build up, I’m convinced Tesla will invest and innovate once again to tackle the problem and reduce the waiting time for service. Because, if there is one thing Tesla has proven over the past years, it is that keep improving and innovating relentlessly, on all aspects. And that is exactly one of the main reasons why I strongly belief in the brand and its mission: “To accelerate the advent of sustainable transport and energy”! Should this article have been helpful and you want to buy a Tesla, please use my referral code http://ts.la/steven1007 and get €1.000,00 discount on your new or inventory car. Lean Thinking has been around for a very long time. Taking a few minor modifications into account, Toyota originally created this system in the mid 70s (it was called the Toyota Production System). Lean is also often used in combination with Six Sigma techniques for statistical control and has been widely accepted as a standard in the manufacturing industry. But it is only in the past few years that Lean has gained some popularity in the service industry. What exactly is Lean Thinking? Some of you may already know what Lean Thinking is all about, but some of you won’t, so let me highlight a few things here. Lean’s major concept is about reducing waste, meaning anything in your production cycle that is not adding value to the customer is considered waste and should therefore be removed from the process. Now some waste is necessary to keep your business running, such as certain approval cycles, additional quality assurance validations etc. But most of the so-called waste is actual waste of time and effort and should be removed all together. Ideally, you would end up with a 100% waste free production process, but we’re not living in a perfect world, so that’s going to prove to be pretty damn impossible. Detecting waste in a production environment is relatively easy (if any manufacturing people are reading this, I know it isn’t always the case, but the concept of waste is more easy to understand in a manufacturing environment): imagine you have a production process where you create cardboard boxes. To create those boxes, you have to cut away some parts of the cardboard. Those pieces can’t be used in the final product, so they are in fact waste. A solution such as choosing a different box shape or layout may reduce that waste, or eliminate it all together. Looking at a pharmacy company, there is a lot of waste in the approval process of a new medicine, but would you want to take the medication if it wasn’t approved by the FDA or equivalent agency in other countries? This is therefore considered to be necessary waste. Now, how do you apply these principles to an IT environment? 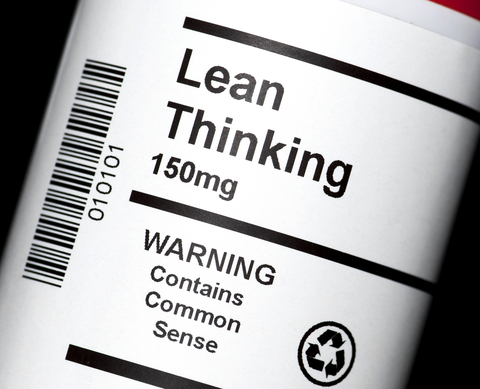 Well, most of the IT guys out there are already using Lean in their daily routines. The widely accepted Scrum board is actually a Kanban, which Scrum has borrowed from Lean. That means that our starting point is that Lean is not a replacement for Scrum (it can be if you want it to), but rather a complementary methodology. Another tool from Lean that I’m quite fond of and which has proven to be very effective in my current project is setting up a pull system. In short, a pull system is a system wherein you only start the next task when another task has been finished. This is meant to reduce the amount of Work In Progress (WIP). In the previous paragraph I already talked briefly about developers running everywhere, not contributing to any tasks but still spending time on them. Well, this is one of the wastes you have to be aware of and it’s called setup time. The best way to describe setup time in an IT development environment is to describe the actions a developer has to take when (re)commencing work on a certain task. First he has to clear his mind from the previous task (yes, this might seem like some Bruce Lee talk, but it is actually true), then he probably needs to start logging his time in some kind of time tracking system, he needs to read up on the new task, might have to pull the code in question from the GIT server, find the proper file and then get cracking at it. That is a lot of work to get set up for the task, which of course takes time, which we appropriately call setup time. Lean helps you get the job done! All of these techniques (setup time reduction, waste reduction, pull system etc.) all help to focus your team on getting the job done and getting and not getting distracted by things they should be focussing on. That means that the so-called Process Lead Time or PLT will reduce as well. Process lead time is the time a task takes to get through the entire process, from request to production. Little’s Law says that your process throughput is defined by dividing the amount work in progress by the process lead time. That means that if you make the process lead time smaller by reducing the waste, you increase the throughput. But this also happens when you reduce the amount of work in progress. That’s exactly where the pull system comes to life. Last but not least I just want to bring your attention to something to be weary about. Increasing throughput on your project means you can get the job done faster. That means that you can do more in less time and it should not mean that you can get rid of one of your employees to do the same job with less people! The people that seem to become expendable can be used to help out in other projects or increase your throughput in your project, so you can finish before your deadline, or even help you attain better SLAs. Don’t misuse your success to fire people!